Near Field Communication (NFC) cards and bracelets are used by legitimid.com to certify users' data. Based on the NFC forum specifications, cards contain web site links which embed users' unique and unpredictable identifiers. 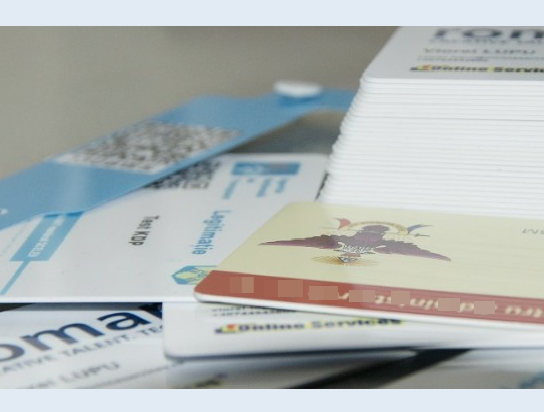 The addressed web system extracts and displays card identification data from databases. This way, only current and custom data are presented to the requesting user (data are filtered by user's type. e.g. public or authenticated). An equivalent Quick Response (QR) code is printed on the face of the card for convenience. QR code are useful for smartphones or tablets that are not NFC enabled. NFC custom readers usage allows development of specific applications which provides additional facilities for authenticated users and are compatible with mobile terminals (NFC enabled smartphones or tablets) for the public environment. The picture below illustrates the use of a NFC bluetooth custom reader with a Windows 10 tablet which is running a specific card application. 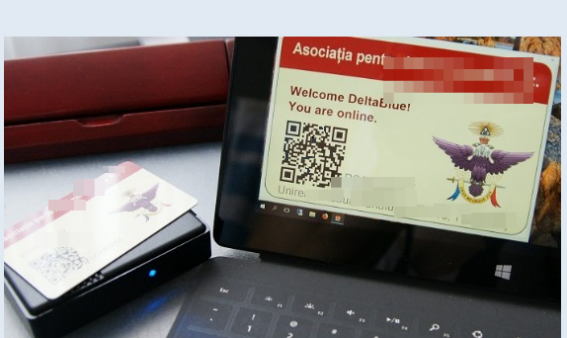 The image of the card on the screen is complemented with current and context data in concordance with the card scanned by the reader. This type of NFC personalized readers are built by Online Services Ltd. company.